Beautiful customizable glue on ring. Smooth, flat square base for collage, Steampunk, and Cabochon projects. 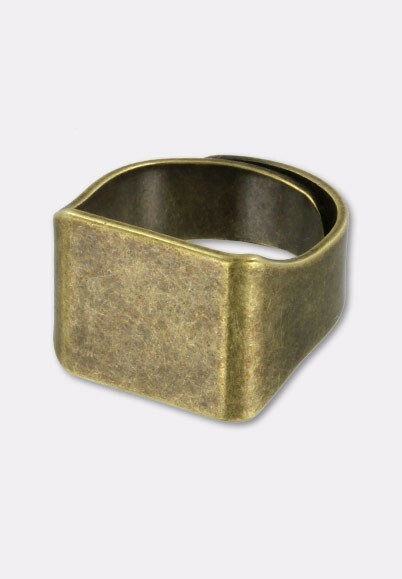 Ring is made of brass and features an Antiqued finish. 14mm flat round surface, perfect for customizing with glass or plastic Cabochons, rhinestones,and more.